One of the proud services we do for our patients is secret shop dispensary medication two times a year. While creating and presenting Errl Cup events for over 3 years, we have found a large gap in the quality of medicine dispensaries are producing for their patients. In the past 3 years, we have secret shopped hundreds of “top shelf” samples and seen a decrease in the quality of medication dispensaries are selling. Our event showed that nearly 90% of the medication we bought was ranked in the lower top 195 flower strains when compared to self-entered strains in the 2018 Errl Cup. As the quality gets worse, no one takes responsibility for the problem. The Arizona Department of Health Services does not do testing of any kind. No regulations on quality nor testing on food and plant products produced by dispensaries. This shows the lack of respect and responsibility for Cannabis as a medicine. AZDHS is not doing their original job, to create, develop and maintain a regulated and safe program for patients to receive quality medicine; comparable to any other industry in the world. AZDHS is happy collecting money and handing out dispensary licenses anyway they see fit. Do you believe dispensaries would voluntarily make necessary changes, do the proper testing and ensure that the medicine they provide is quality-tested medicine they would give their grandmother? Don’t hold your breath, testing is an extra cost and if not required; most dispensaries consider it a unnecessary cost. Some even consider themselves void of testing responsibility because they believe their practices are perfect. We believe that should be left up to the lab. Looks like we might have mandatory testing on Cannabis products if the Arizona Senate Bill HB 1420 passes. This would start implementing testing by July 2019. Standards for testing have not been established, the bill leaves testing requirements up to agriculture who knows almost nothing about cannabis and inhaled products. Their regulations are geared for ingestible products and most acceptable things to use in ingestible could be deadly inhaled. Not to forget there are not enough laboratories and the right equipment in the state, only a fistful could do the job but would not be able to do handle it all. Lastly No-One in Arizona can test Parts Per Billion “PPB”, The best equipment only goes to Parts Per Million “PPM”. Better equipment is needed to ensure bad growing practices are not hidden under science. Our goal has always been to protect the patients and making sure they received quality medication. This process of protection is continued with Errl Cup Approved. Now you can rest assured that when you see the Errl Cup Approved badge you know your medicine is high quality, tested and Errl Cup Approved. By taking the same principals we have used while doing our Patient Appreciation events for the last 3 years, you will see a program that is built on experience and understanding of the industry. Once a dispensary is in the Approved program they will be given frequent quality control checks. Initially, we will secret shop that dispensary for the medicine they are seeking approval for. Our secret shopping and testing will be done without dispensary knowledge and tested at a certified lab. All samples are delivered to Certified Testing Lab. At no point in the process will a dispensary agent or associate affiliated with dispensary handle the medicine. All testing reports will be published on Errl Cup website and sent to the participating dispensary. Potency, Cannabinoids, and Terpenes are also tested by Certified Testing Lab. All testing contaminant levels are to be used from Colorado Marijuana Testing Guidelines. 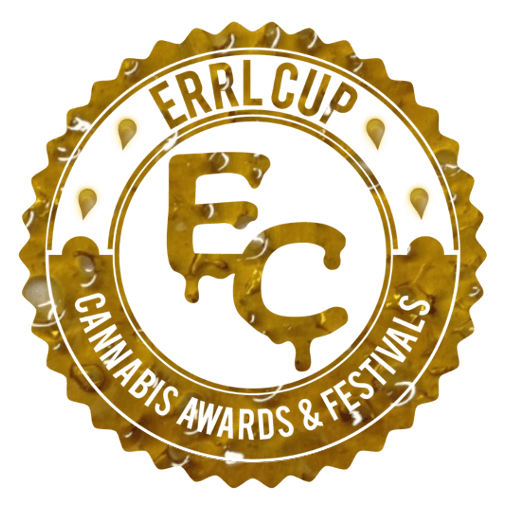 The Errl Cup does periodic Dispensary Inspections and Grow Inspections. Participating Dispensaries also do LIVE Q&A sessions with us to answer your questions. We secret shop and test Dispensaries on a monthly basis to maintain approval. 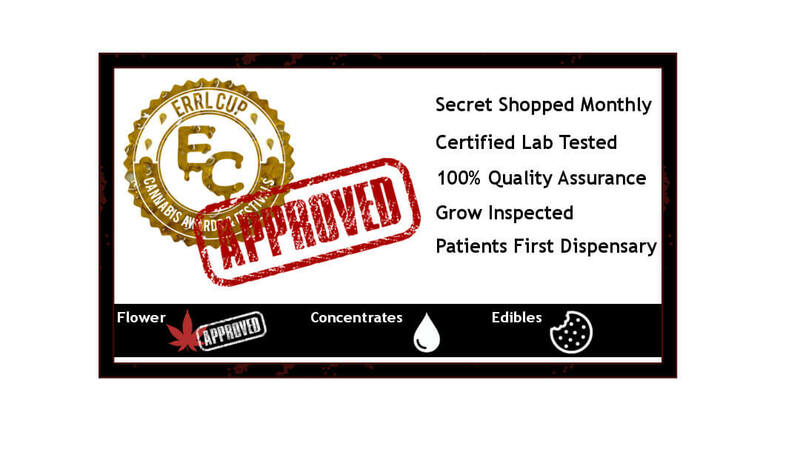 Each dispensary is secret shopped and tested for each product-type they want to be certified as Errl Cup Approved. As usual, we are not subject to any influence or bias in our testing and inspections. Our goal is to ensure that the medicine Medical Marijuana Patients are purchasing is tested and assured up to standards in atleast Colorado. 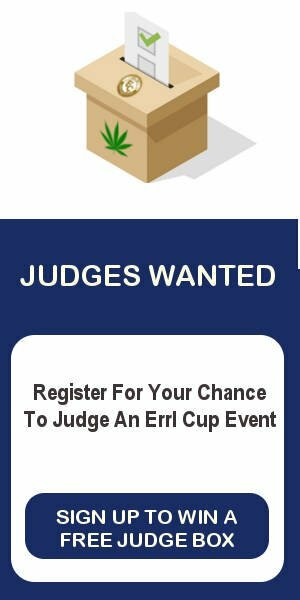 All testing results and secret shopping information will be displayed on Errl Cup website. We will not hold back any information regarding testing and medicine collected. A dispensary must maintain a monthly inspection in order to ensure that they are approved for the time they are in the program. Each approval is only for a specific category (Flower, Concentrate, Vape, Edible, Etc) Dispensary must enter the process for each one to gain each’s approval. We work with all dispensaries to help ensure that they are providing the best quality medicine for their patients. As we have done since our first event, we ensure that the medication that you are getting is what you paid for, what you expect, and has been tested and is assured for quality. Our EC Approved Program is designed to help patients feel empowered to ask for the lab results! Although we would like to, we are not the state and cannot require every dispensary to be subject to the monthly program. However we believe if we empower the people, they will ask for the lab results and we can force a new age of clean cannabis. We believe if dispensaries care for you the CUSTOMER/MMJ Patient they will gladly be subject to secret shopping and lab testing on a monthly basis. We hope this has given you the information about our Errl Cup Approved Program. We encourage any suggestions, comments, and thoughts you have about our program. It is our goal to provide a recognizable seal for quality tested medicine.